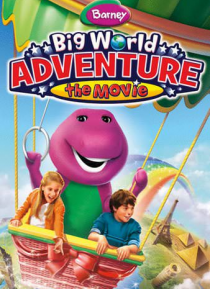 Climb aboard a big balloon with Barney, Ben and Emma as they embark on a super-dee-duper world adventure! The friends visit everywhere they can imagine in this all-new movie! Together they encounter princesses and kings, musicians and magicians, puppeteers and artists across Europe, Asia, Africa and the Americas. As the trio experiences new cultures and languages from around the world, Barney demo… nstrates the importance of the most universal language of all: friendship.